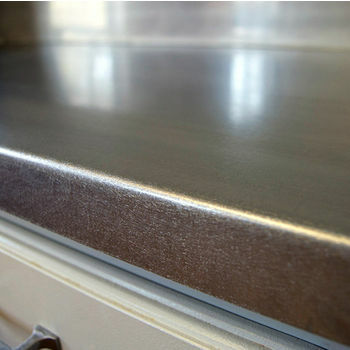 The Stainless Steel Countertops by Federal Brace are a great way to give your kitchen a more professional style. 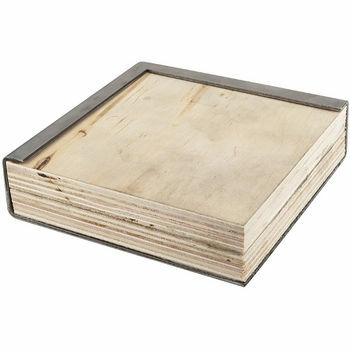 The 16 Gauge, 304 Single Sheet Stainless Steel Countertop features a Cabinet-Grade Plywood Core. 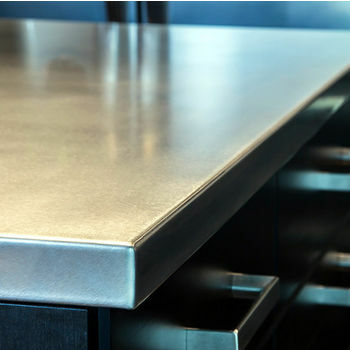 A stainless steel countertop provides a clean, durable, and attractive work surface that resists stains with out requiring surface treatments. Custom Sizing is Available, call us at 1.800.667.8721. We wanted ro refresh our island by changing out the 30 year old butcher block. 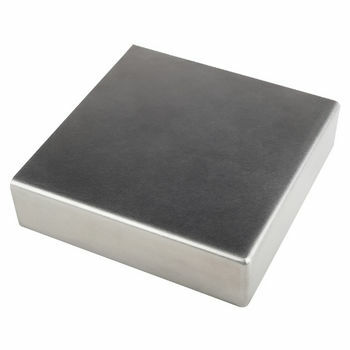 Not interested in tile or stone I started searching for steel overlay/veneer. I stll cannot believe the completed top came in the exact size finished to perfection! No customization or drama. Expert packaging assured flawless product when unpacked. Simple installation and 30 minutes later the kitchen was back in action. 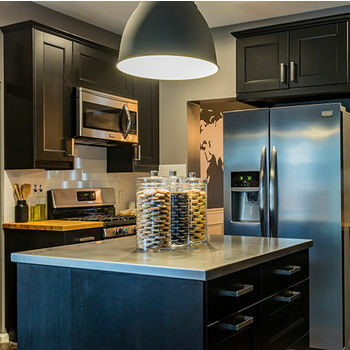 Substantial construction with great communication and appropriate pricing for the quality product resulted in a happy customer and stylistly refreshed and functional island. Highly recommend! !